Chatbots seem to be a natural fit for today’s “on demand” consumer. 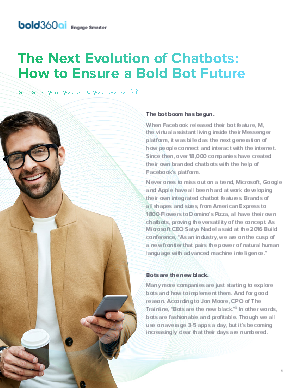 Chatbots, or support bots as they are called when they are used to support and enhance the customer experience, offer instant answers and intuitive connectivity. We studied the characteristics that successful bots share. When you decide the time is right for your brand to join the bot revolution, you’ll know exactly which elements will help create a bot that your users will love to engage with.